(Bloomberg) -- U.S. President Donald Trump's administration said the federal appeals court in San Francisco is taking too long to decide whether it can go ahead with a plan to scrap legal protections for hundreds of thousands of children of undocumented immigrants known as Dreamers. If the U.S. Court of Appeals for the Ninth Circuit doesn't issue a decision by Oct. 31, the administration will go straight to the Supreme Court for a finding on whether an injunction against the plan should be lifted, the Justice Department said Wednesday in a letter to the appeals court. 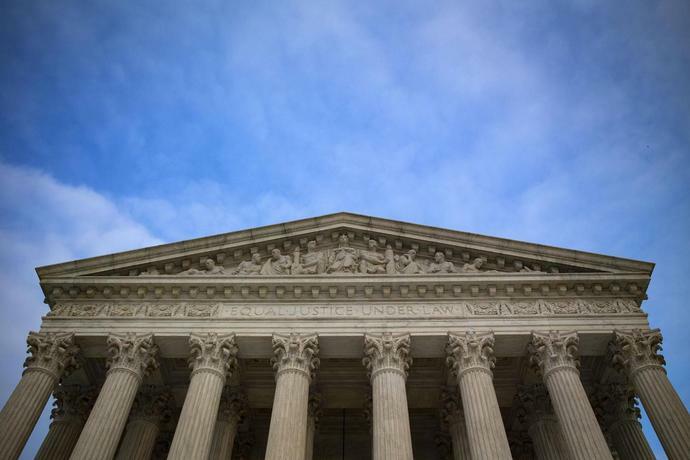 The Supreme Court in February declined to hear an immediate appeal in the case, saying the justices assumed the appeals court would "proceed expeditiously to decide this case," according to the letter. That isn't happening, even though the appeals court heard arguments in May, the Justice Department says. "The district court's injunction has now been in place for more than nine months and, unless either this Court or the Supreme Court promptly intervenes, it could remain in force for at least another year, given the Supreme Court's argument calendar," the government said. The state of limbo since the injunction was issued in January is allowing about 700,000 Dreamers to continue to break federal immigration law, the Justice Department said. The program, Deferred Action for Childhood Arrivals program, has been in place for six years and allows young undocumented immigrants to live, work and study legally in America.